*Check out this brilliant Trouble Brewing cartoon about the hop pun trend. 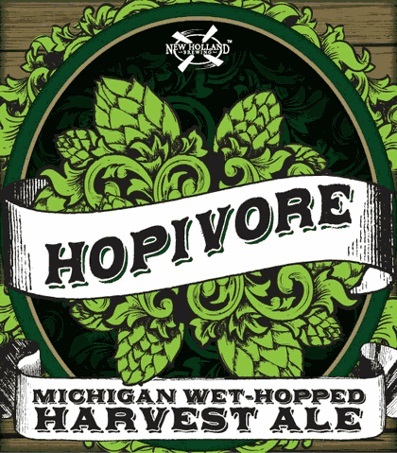 Hopocalypse: This is apparently a VERY popular hop pun amongst brewers. 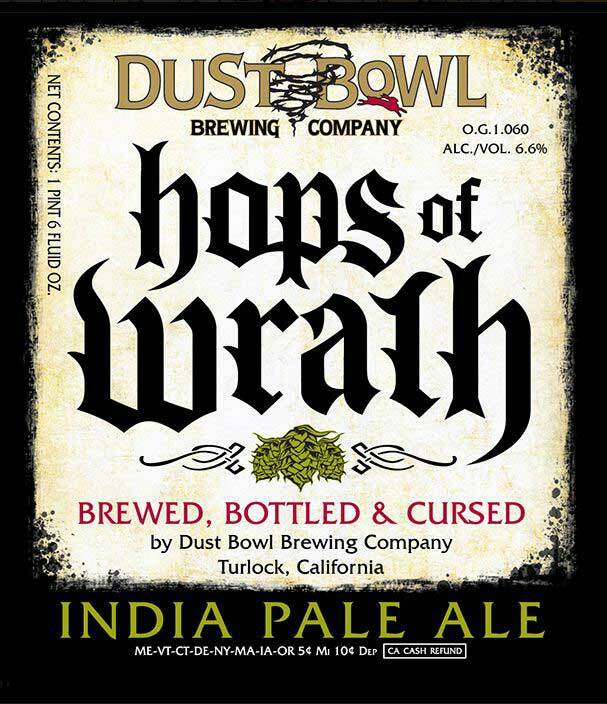 Dust Bowl Hops of Wrath: Probably the best you can do when you name yourself the "Dust Bowl Brewing Company". 10. 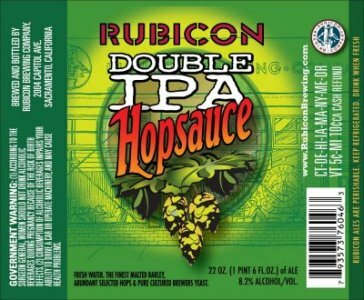 Rubicon Hopsauce: OK...onto the real Top Ten now. This is as simple as it gets for a hop pun, but it's a good one. 9. 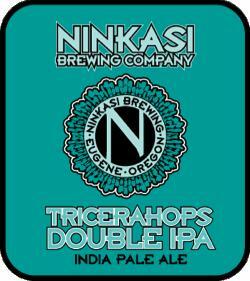 Ninkasi Tricerahops: Would it have killed them to draw a dinosaur with three hop horns? 8. 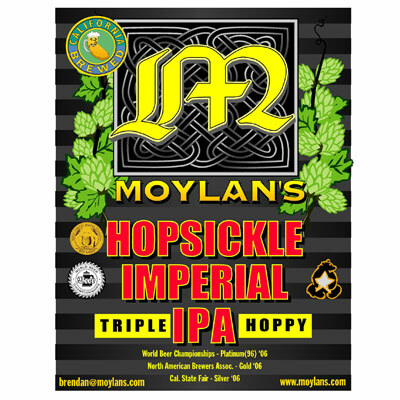 Moylan's Hopsickle: Terrible label...but I love this beer. 7. 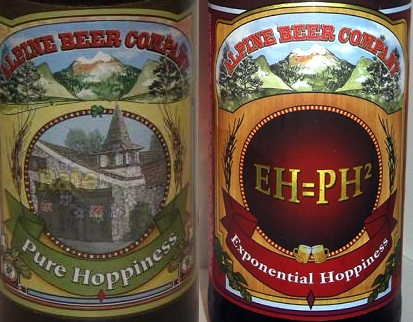 Alpine Pure Hoppiness/Exponential Hoppiness: What do you get when you Imperialize Pure Hoppiness? 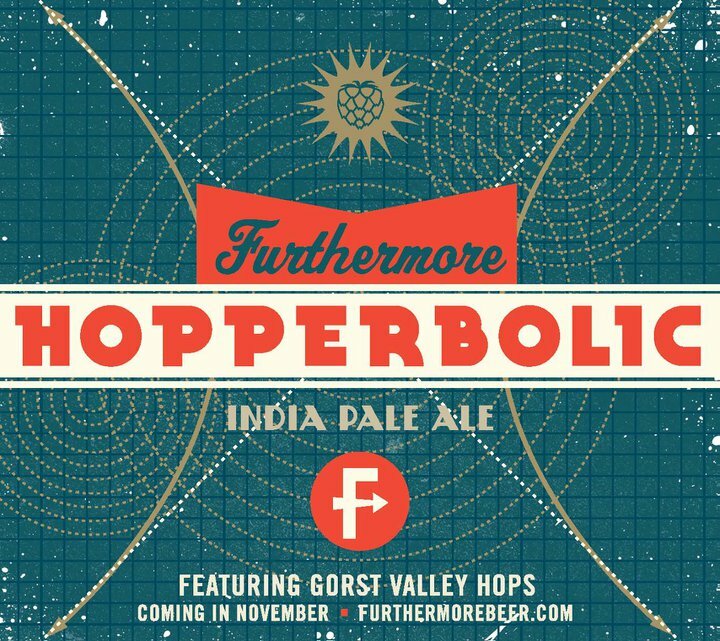 Exponential Hoppiness. Of course. 6. 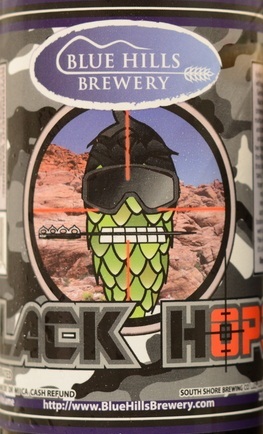 Blue Hills Black Hops: To be honest, I'm not sure if that hop is the good guy or the bad guy. Great name though. 5. 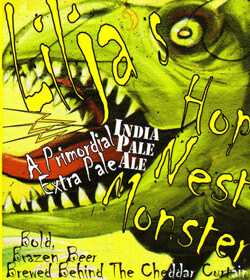 Lilja Hop Nest Monster: Never heard of the brewery or the beer, but when you name-drop Nessie, you're making the list. 4. 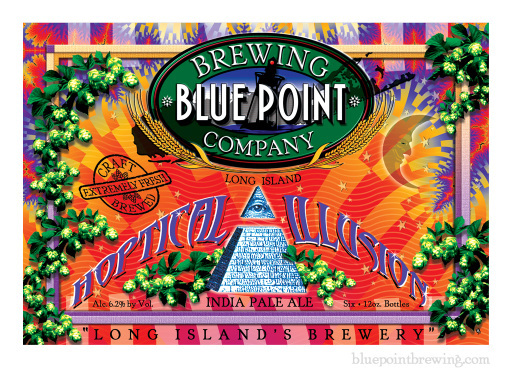 Blue Point Hoptical Illusion: Some were angry I left this off our Best Beer Labels post, but I just couldn't do it. This thing gives me seizures. 3. 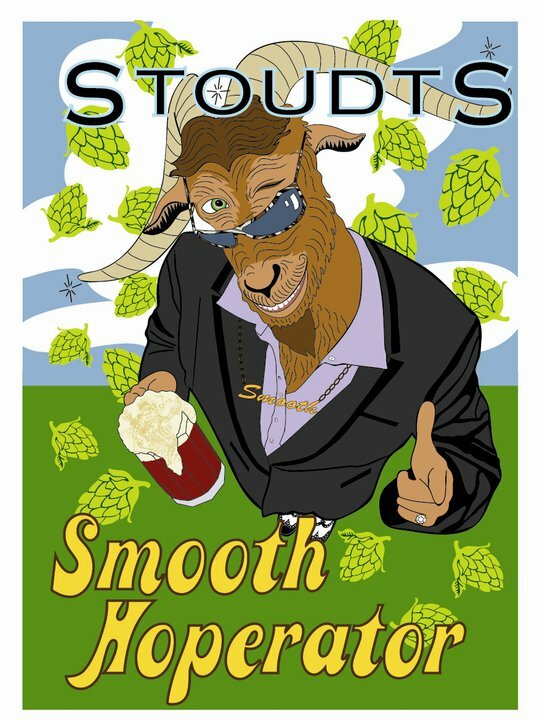 Stoudts Smooth Hoperator: This one would probably also make the Top Ten Worst Hop Puns list. It's that good. 2. 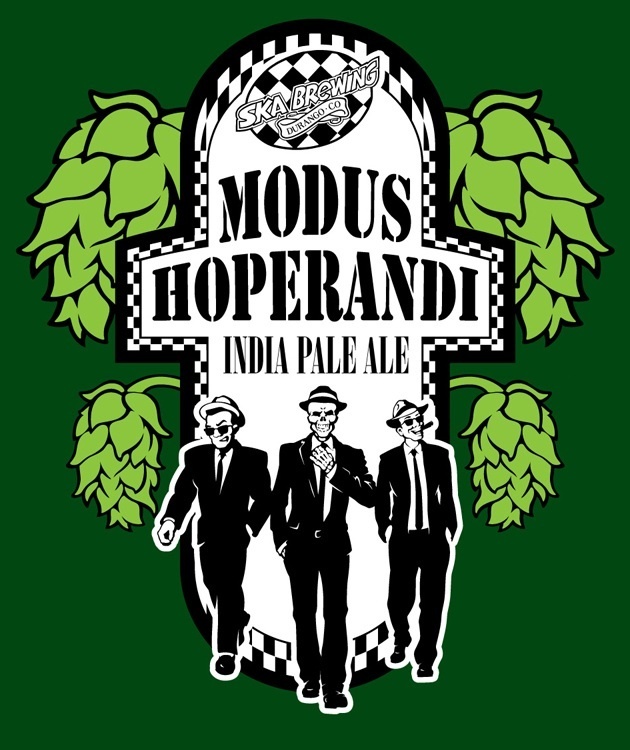 Ska Modus Hoperandi: Love the beer. Love the name. 1. 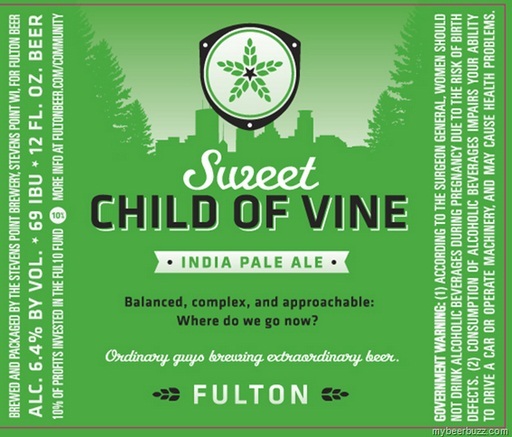 Fulton Sweet Child of Vine: Slouch Sixpack is KICKING himself for not thinking of this name first. Silver Moon Hoppopotamus: The resemblance to Doc on a Friday night is uncanny. 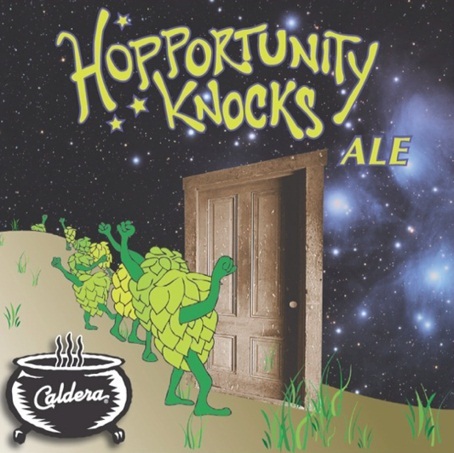 Caldera Hopportunity Knocks: OK...so the label is kind of ugly. Still...I would answer that door. 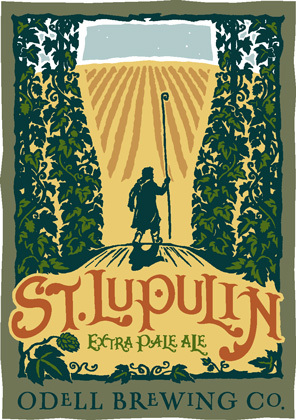 Odell St. Lupulin: One of my all-time favorite labels. Using the hop bines as a frame for the giant pint is a masterstroke. Though I'll admit that it's a little hard to tell they're hop plants. 10. 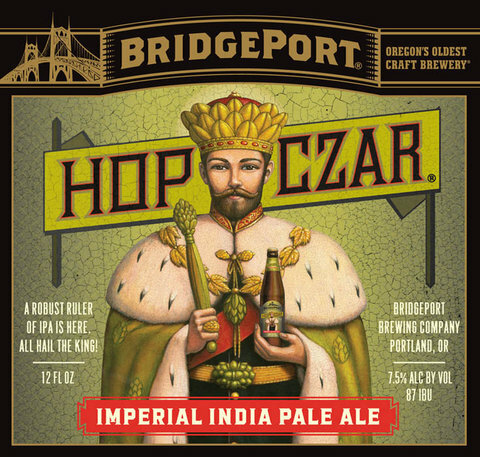 Bridgeport Hop Czar: I wish this is what our Czar looked like. He looks more like a homeless longshoreman in a tracksuit. 9. Bell's HopSlam: There are two types of people in this world...people who love this beer, and people who are stupid assholes. 8. COAST HopArt: Warhol's finest work. 7. 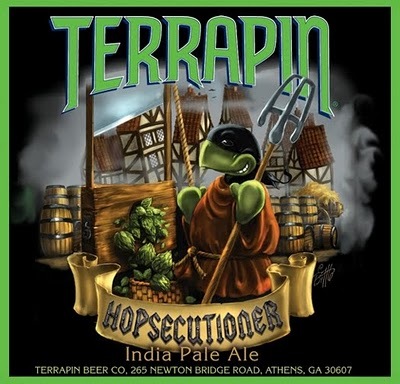 Terrapin Hopsecutioner: I'm sure the MillerCoors PR folks will tone this one down a little in the next few years. They'll probably have the turtle execute some guy in skinny jeans for not caring what his light beer tastes like. 6. 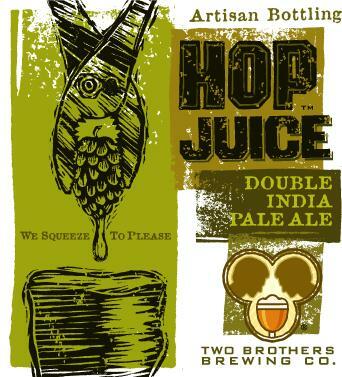 Two Brothers Hop Juice: Sigh...if only it was that easy to add hops to a beer. 5. 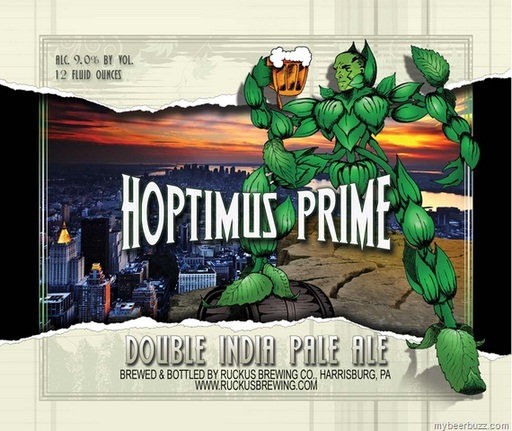 Ruckus Hoptimus Prime: Admittedlly, this one should be in the Hop Pun list as well...but the image is just too good not to include here. 4. 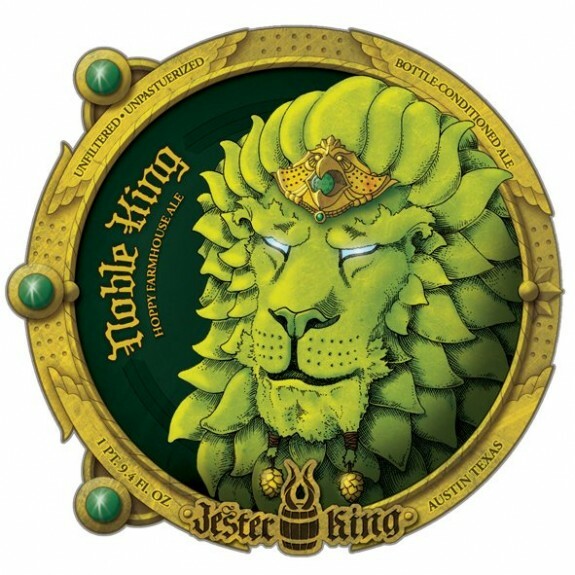 Jester King Noble King: Slouch's description? What if Aslan was made of hops. What if, indeed, Mr. Sixpack. 3. 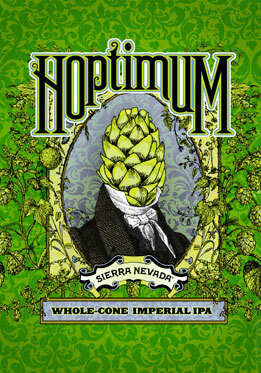 Sierra Nevada Hoptimum: I wonder how long this hop cone had to sit for his daguerreotype. Probably about as long as it took me to remember the word "daguerreotype". 2. Surly Wet: I've said it before and I'll say it again, why WOULDN'T you design your can of beer to look like a hop flower? What could possibly beat this? 1. Palo Alto Hoppy Ending: Check and mate. Let us know what we missed in the comments section, Alehead Nation. 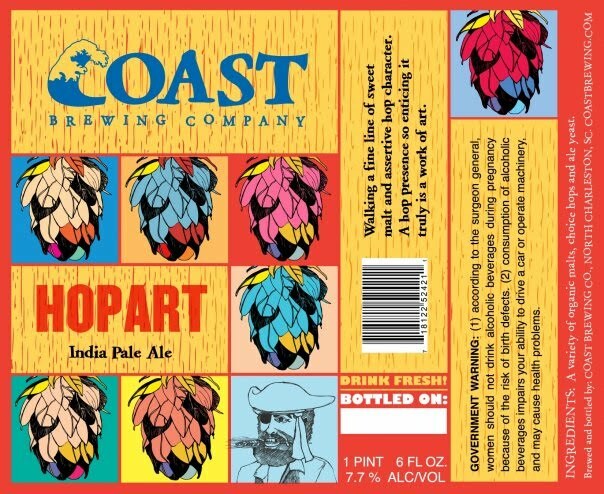 There are hundreds more hop puns and labels out there. Which ones are your favorites? 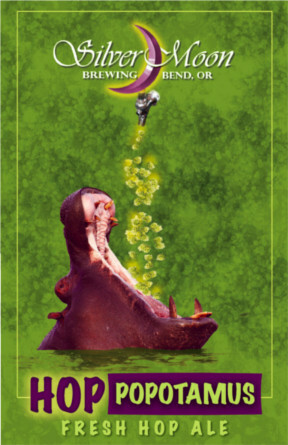 Posted in Beer Marketing, Best/Worst.Tagged Beer Labels, Hop Puns, Hops. GREAT article! I am a super sucker for GOP puns! I just posted some hop pun pics on my site too! I know Terrapin is on your shyte list, but Terrapin Hopzilla. Wigan’s Allgates Brewery had a film-themed series of hop-pun beers – bringing the brilliance to a new level, with beauties such as Beverley Hills Hop, GroundHop Day, Metrohopolis, Some Like it Hopped etc. They carried on in the same theme with the 3.9 Steps, Saving a Pint for Ryan, Smoking and they Banned It (which is genius), Pump Fiction, Caskablanca, Nightmare on Ale Street – these guys are the pun champions, without doubt. I’m guilty… I’ve named a homebrew 5 Hoppiness after a Chinese restaurant (5 happiness) I frequented in college.